"We are making a very comprehensive body of source material available to our readers. The most holistic archive as a Swedish newspaper have ever made available to its readers. Seeing the development, the newspaper has been through, and not least to see how our brand has stood strong through our history is fascinating. "Says Svenska Dagbladet CTO Ola Henriksson, who is responsible for the extensive and large-scale project. Svenska Dagbladet’s archive is a so-called Retro Archive. An archive that goes back further than the cooperation with Visiolink and contains scans from microfilm and print newspapers. "A project of this scale is wide ranging. Svenska Dagbladet has been through many considerations and processes. We have supported decision-making and provided tools for the archive. The archive feature makes tools available for researchers. Learnings from the past will be available for the present - and the future. 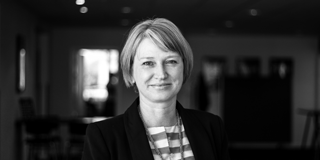 It is an important part of a democratic world where knowledge and information can help to eliminate misunderstandings and provide multifaceted perspectives, "explains Mette Fangel Sørensen, Head of Sales in Visiolink. She's been Svenska Dagbladet's partner in the project from the initial dialogues to launch on November 1st, 2016. In principle, an archive is nothing special. Most newspapers and media houses have various drives with files, stacks of rolls of microfilm and probably a room in the basement, where the oldest print versions are stored. 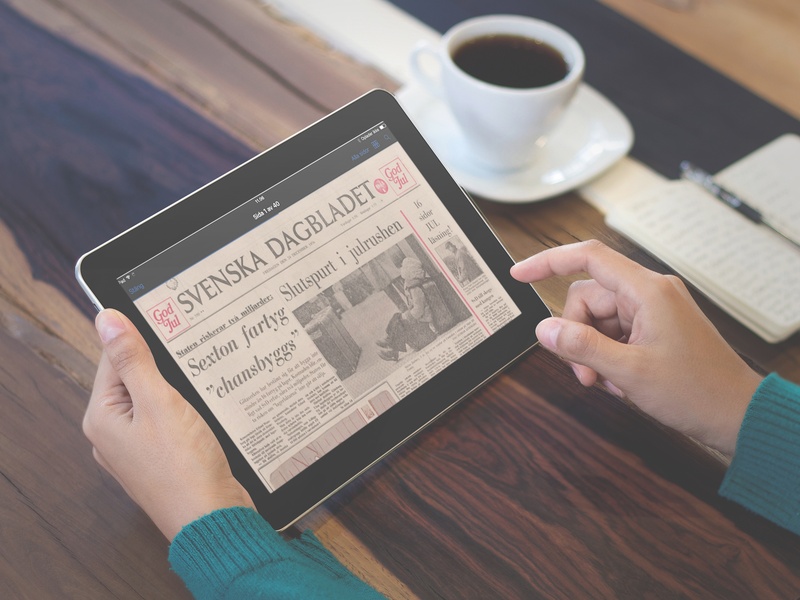 Some newspapers - such as Svenska Dagbladet - have already scanned all of their newspapers and stored them in the Royal Library - the Swedish national library. But hands down, an archive, just as every other source of knowledge, is only interesting when it is being used. "And this is exactly where Svenska Dagbladet takes a number of initiatives. They have a plan for the launch of the archive. They also chose to present the archive’s possibilities bit by bit. And not least, Svenska Dagbladet make clear suggestion to their readers, as to what the archive can be used for, "says Mette Fangel Sørensen. "The archive is an exciting exposé of Swedish journalism and how Svenska Dagbladet was present and wrote about historic events as they unfolded. It is a great pleasure to make this heritage available to our subscribers," said Fredric Karén, editor in chief of Svenska Dagbladet at the launch. Making knowledge in the form of archived articles available to subscribers is just one win. Editorial staff and journalists also use the archives very actively. Research based on historic information becomes easy and can be done very quickly. "Also, external people can use the archive for research. In the last 30 years, textbooks in various social studies and history have been quickly outdated. The world has changed faster than the books could be written and printed. We also learned that some information in the books was only part of the story. Failed states, the web's influence and the mobility of knowledge has sparked a need to seek information from other sources - such as archives," says Mette Fangel Sørensen. At the moment, Svenska Dagbladet presents interesting historical front pages on Twitter and Facebook, and they invite readers to go hunting in the archive for cover pages that they find interesting or otherwise relevant. 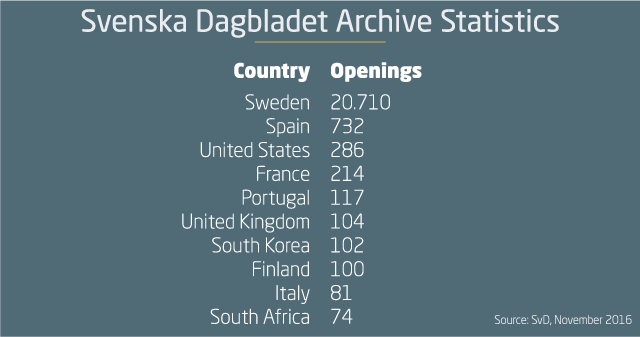 Looking through statistics, its curious to see that not only swedes, but readers from around the world dig in the archives. Searches are made from Sweden to South Korea. Want to know more about how to use archives to create value?